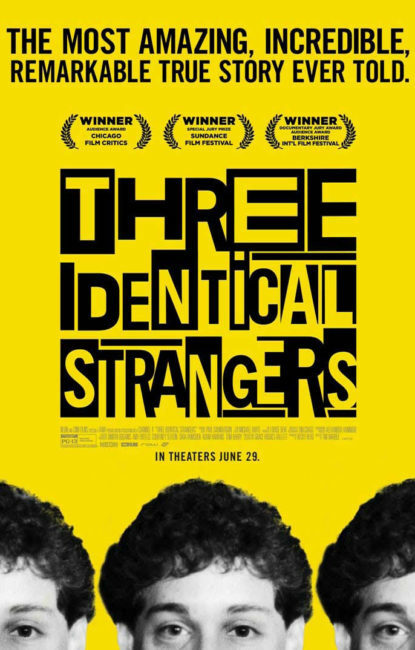 THREE IDENTICAL STRANGERS is the rare documentary that comes with a spoiler warning. We suggest that you watch the trailer on our website and a few reviews, but do try to stay away from any independent research as you are going to want to be surprised by what this movie reveals. Catch it this week and tell your friends as little as possible. SORRY TO BOTHER YOU, HOTEL TRANSYLVANIA 3 : SUMMER VACATION, ANT-MAN & THE WASP all remain in the lineup for the next week. WON’T YOU BE MY NEIGHBOR ended its run this Thursday in order to make room for our new release. We wish we could keep it around longer, but we are happy to have seen so many people be touched by it’s message of love and understanding. Behind the scenes for the last few weeks we’ve been working on getting a great slate of independent films for the end of the summer. Today we’d like to announce that CAKEMAKER and SKATE KITCHEN will be coming within the next few weeks, while WE THE ANIMALS and BLAZE come in September. Finally, in October we will be letting you know that THE PUBLIC IMAGE IS ROTTEN. We have one more surprise film left to announce for August but if you’re curious we hid the trailer for it somewhere in this newsletter. Happy hunting! 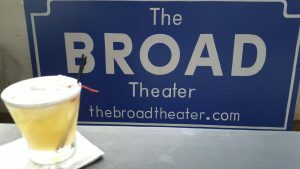 Thanks again for reading, and we’ll see you at the movies.